Rescheduled World Of Outlaws Champion Racing Oil 54th National Open Closes Williams Grove Speedway Season Friday With $25,000 Payday! Mechanicsburg – The rescheduled Williams Grove Speedway Champion Racing Oil 54th annual National Open for sprint cars sanctioned by the World of Outlaws Craftsman Series will close the oval’s season this Friday night, October 14 at 7:30 pm. After being lost to rain two weeks ago, the make-up Champion Racing Oil National Open will be a stand-alone program, paying $25,000 to win and $1,000 to start the 40-lap World of Outlaws main event. The conclusion of the Open will also crown the 2016 Williams Grove Speedway Lawrence Chevrolet 410 sprint car champion as the Open pits the Pennsylvania Posse sprint car stars against the World of Outlaws stars. Greg Hodnett is the current Williams Grove point leader going into the prestigious race. Adult general admission for Friday’s Champion Racing Oil National Open is $35 with youth ages 13 – 20 admitted for $20 while kids ages 12 and under are always free. Season reserved seats will be honored for the event. Advanced tickets for the big event are currently being offered during business hours. 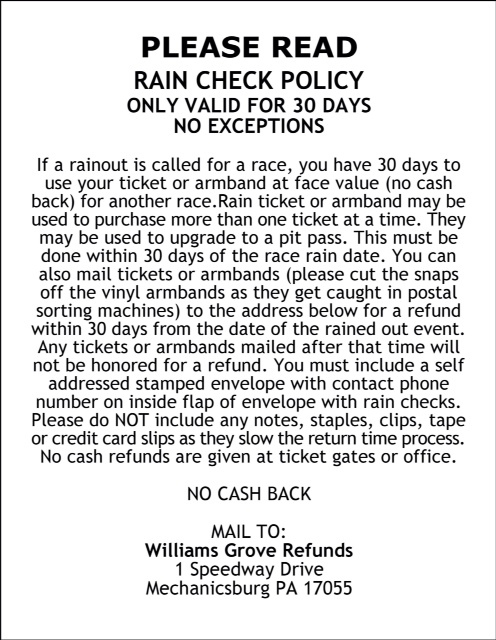 Rainchecks from the original dates of September 29, 30 and October 1 can be used in the speedway office to purchase tickets for October 14. 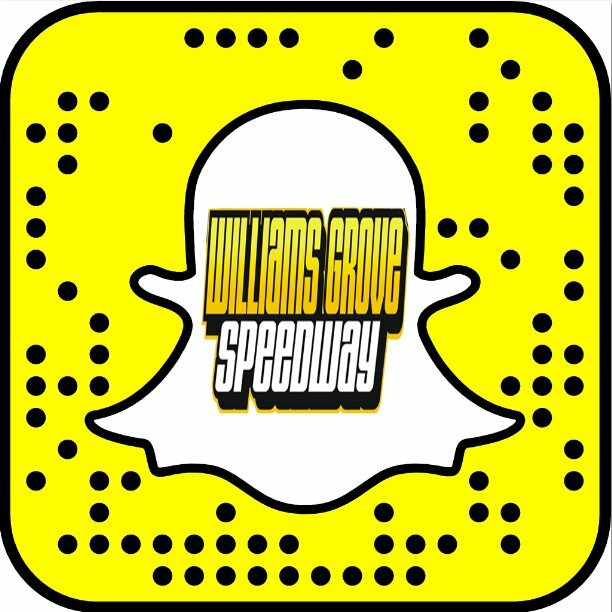 The Williams Grove Speedway campground will open on Friday, October 14 at noon and remain open until Saturday, October 15 at 5 pm. All camping passes and reserved spots purchased for September 27-October 3 will be honored on October 14. New camping passes will be sold in advance or upon arrival for $10. Hanover native Stevie Smith scored redemption after a heartbreak a year earlier to record his third career triumph in the Williams Grove marquee event in 2015. The Williams Grove portion of the 50/50 drawing on Friday will be split between the Bethesda Project and the Dillsburg Kiwanis Club.